Here is a very unusual shotgun that has gone through a couple of changes. The worst is that the barrels have been cut off. But the intriguing change is that the top of the barrels show that it once was a pinfire weapon. 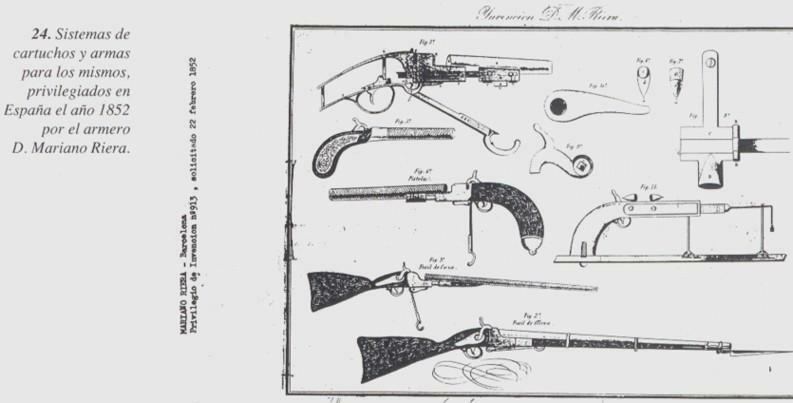 I cannot figure out how the change could have been made to a regular black-powder shotgun, because the action seems to be original to the shotgun. Maybe you have someone who can figure out this puzzle. 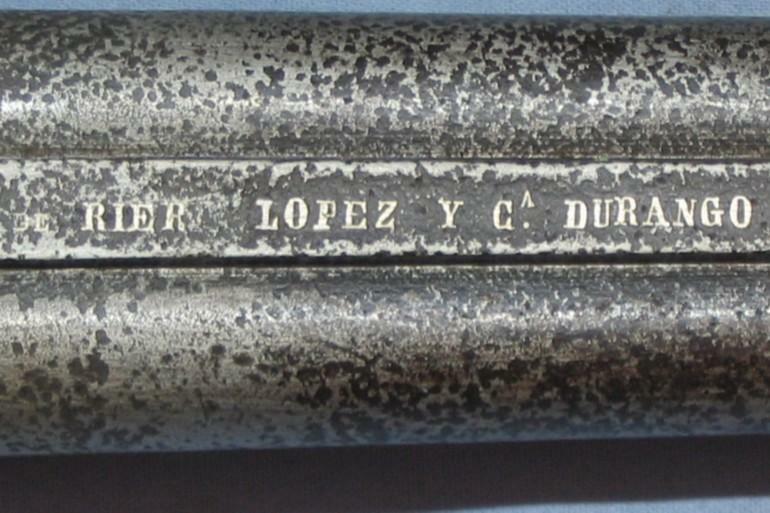 It is a two-barrel, Black Powder Shotgun, with the letters on top of the barrels: Rier Lopoez y C. a Durango. The barrels are now 15 inches long and the overall length is 31 1/2 inches. There is a serial number 49 stamped in more than one place. This shotgun was owned by the Maihlos family in Uruguay who immigrated to South America from France in 1938. It was in use as a shotgun on a ranch in the interior of Uruguay until recent years. I don't think that this shotgun was originally a pinfire, because pinfire guns always have a breakdown breech and also separate sidelocks, while this one has a solid stock and is fitted with a "boxlock" mechanism. The barrels come from a pinfire shotgun, but not the rest. 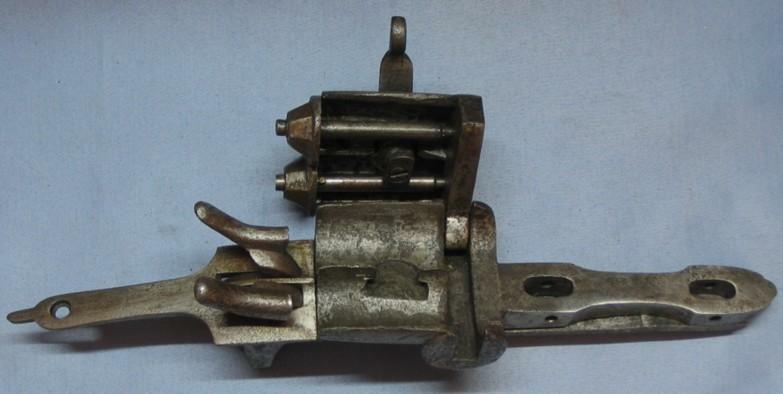 In my modest opinion, this was originally a German needle-fire shotgun, probably destroyed, that was recuperated by a skilled gunsmith who converted it into a "trapdoor" shotgun, by replacing the original breech by a self-made one, based on the Snider conversion system that was applied in the 1870's on the Enfield 1859 rifles. 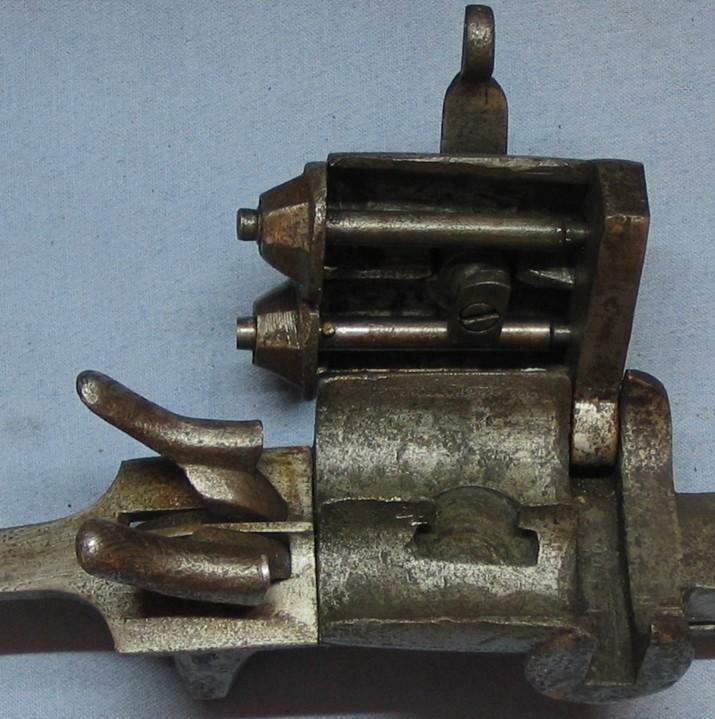 The barrels were cut off either to make the gun easier to handle in bush hunting, or to be used as a "coach gun", one of these terrible defense weapons used by the coach drivers on the long distance couriers. This one is probably unique. 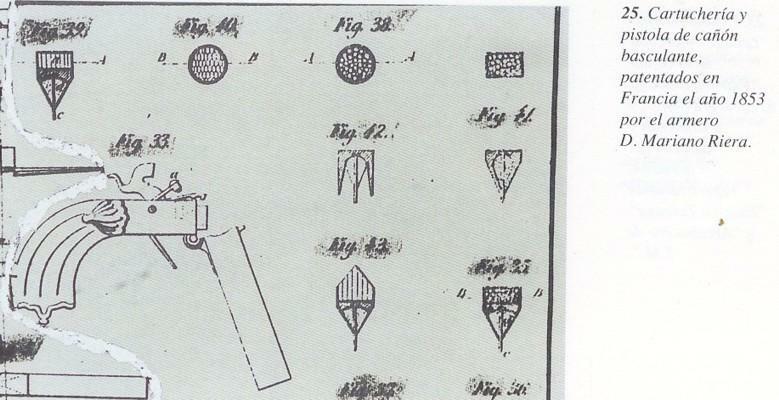 Before 1860, one of the rare Spanish arms manufacturers who decided to make research on the systems of firearms were señor Mariano Riera, which patented various systems both in Spain and in England, Belgium and France. Born in Barcelona, initially its factory installed in Eibar in 1853 and in 1863 founded company RIERA, LOPEZ Y COMPAÑÍA in Durango, locality located close to Eibar. In 1865 started the manufacture of the revolver Lefaucheux Model 1858 declared lawful for the authorities Spanish. 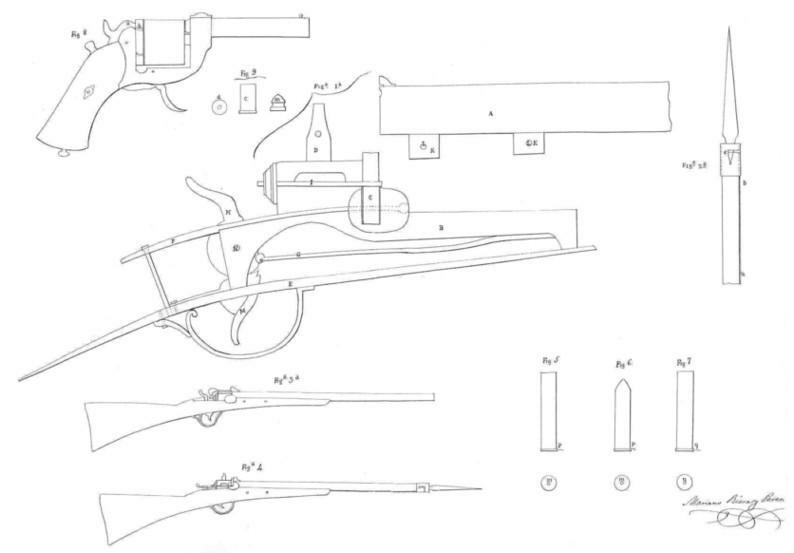 Its revolvers, like those manufactured by Orbea Hermanos, were of quality comparable with those manufactured by M.G. Lefaucheux and much higher than all the other Spanish workshops. Those were the greatest production of their workshop. I do not know the date of the disappearance of this firm. Herewith some photographs of project of weapons.